The Montville Twp. Literacy Foundation (MTLF) has provided services and grants to benefit our local community since 1986. 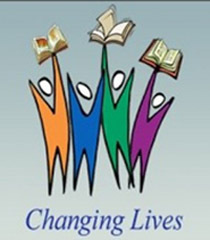 We currently sponsor free online book club programs to encourage people to improve their literacy (please see our website at www.MontvilleLiteracy.org). We also sponsor a free English program to help and encourage adult residents in our community originally from other countries to improve their English proficiency. We are currently seeking volunteer English teachers to help us continue this program in 2014. Your dedication of being a volunteer English teacher will give these vital language services to your friends and neighbors who live, work or worship in Montville Township. The teaching location will be in Montville. You might teach a single student (one to one) or a small group of students that depends on your schedule. for the application form and mail it to Montville Twp. Literacy Foundation at P.O. Box 2, Towaco, NJ 07082. If you have any questions, please feel free to contact me at (973) 960-9093. We appreciate your support very much. Yes, I would like to get a small payment to cover the transportation, meals and material printing costs. No, I would like to contribute my time to the community and do not expect to get paid. © 2012 Montville Township Literacy Foundation. All rights reserved.